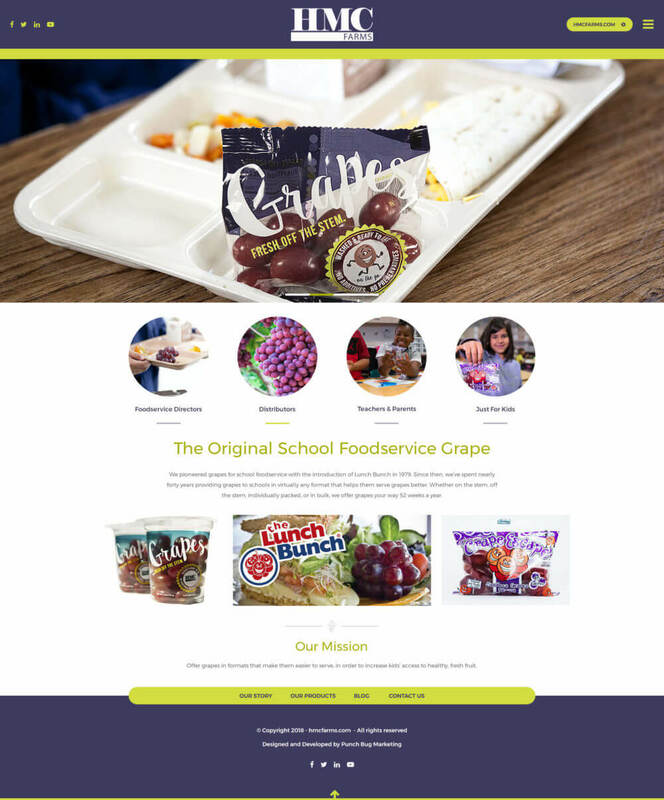 Punch Bug Marketing recently designed and launched a brand new website for HMC Farms. 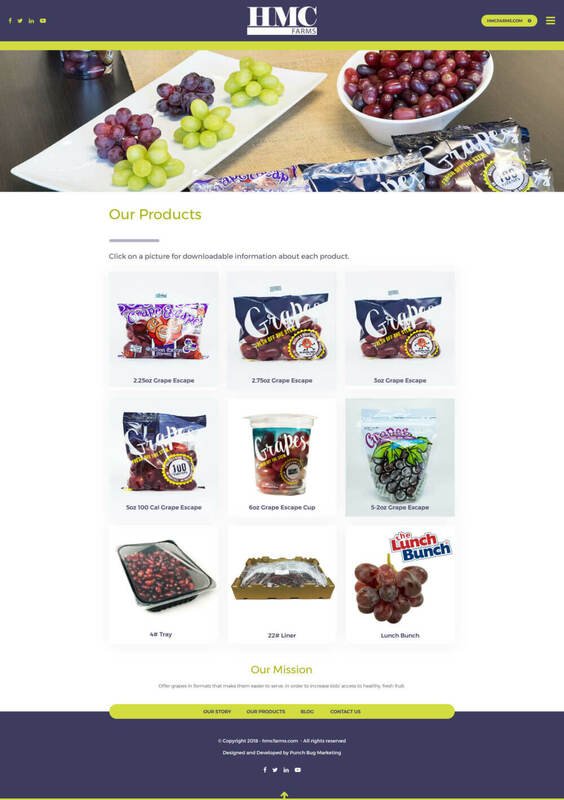 This website is geared toward foodservice directors and distributors to educate them about the ready-to-eat grapes offered by HMC. We built a custom WordPress theme with a few nifty features. 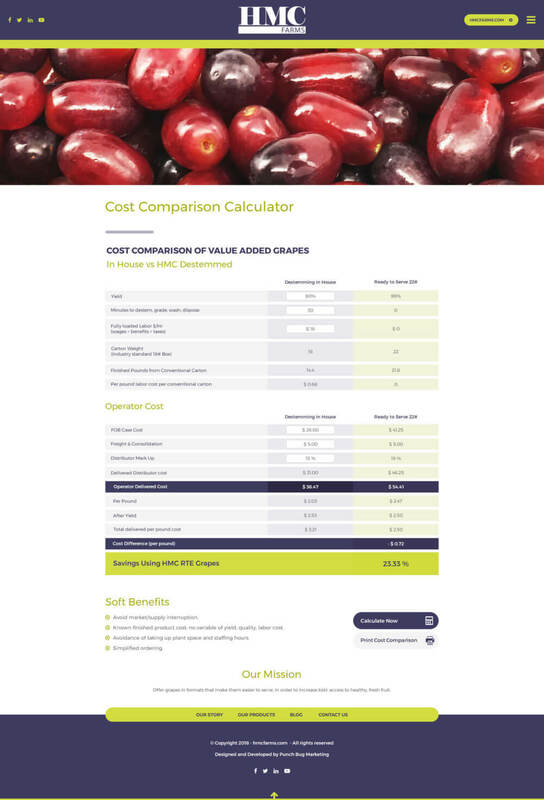 One, a custom calculator that calculates cost savings of HMC Farms Grapes for Schools solutions compared to traditional means. Another neat feature is the unique product display page that allows interested viewers to download or print information about any of the specific products. We are also hosting the website so it will be super fast and incredibly secure. 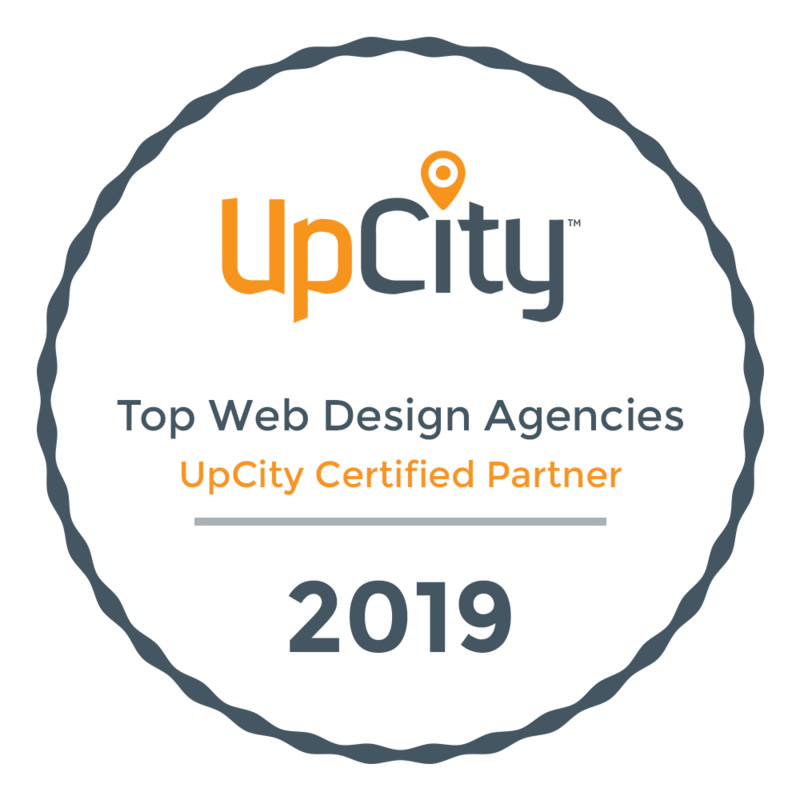 Take a look and share!